Posted by The Way to Akhirah , 07:53:00 Be the first to comment! How can we do that if we don’t understand the Qur’an! One cannot and does not carry translation always, especially while listening to it in Salah! Flowers are the Guidance and the weeds are satanic thoughts. Allah SWT sows flower seeds into our brain every time we listen to Qur’an, especially in Salah/Namaz. If we don’t water them (ponder), they will be wasted and weeds may grow. How can we achieve all of these, especially the last four, if we don’t understand the Qur’an. People know that Fajr is compulsory but very few come to Masjid. Why? Not because they don’t know but because their hearts are rusted. We have a major misconception that Qur’an is a book of commandments only. The verses that deal with commandments constitute less than 10% of the total verses. The rest 90% is for the heart and mind. The heart keeps rusting and deviating because of sins. We need de-rusting and re-alignment. Adam (A) was asked not to go near the tree. Allah says: “but he forgot; and We did not find in him any determination.” We humans have these weaknesses. We have several fitnahs (trials) surrounding us. We need continuous reminders and warnings which come to us only through daily recitation and listening to the Qur’an. 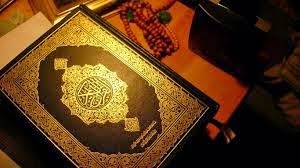 Allah says about the Qur’an: “a healing for the (diseases) in your hearts” [10:57]. Can there be a better cure than what Allah has prescribed for us? The Qur’an was revealed to the prophet (PBUH) in pieces. “And those who disbelieve say: Why has not the Quran been revealed to him all at once? Thus, that We may strengthen your heart by it and We have arranged it well in arranging. [25:32]. Heart should be firm in belief to His promises and warnings. Continuous pondering of the Qur’an everyday during and after Salahs helps us strengthen our hearts. Prophet Muhammed (PUBH) used to interact with the recitation. “And when he recited the Verses which referred to the Glory of Allah, he glorified Him, the Great, and when he recited the Verses that mention supplication, he supplicated, and when he recited the Verses that mention seeking Refuge of the Rubb, he sought (His) Refuge.” [Muslim]. Can we live without talking at least five minutes every day to our near and dear ones? Allah is most beloved to us. He loves us more than seventy times that of our mothers. Still we live without bothering as to what Allah SWT said today to us during Salah! Whatever we read or listen to the Qur’an, remember that it is a live guidance from Allah SWT to each individual when he or she listens to Qur’an. It is a HUGE loss only if one can appreciates the value of live guidance from Allah, our own Creator. A wise man can never neglect this. There are different dimensions to the relationship with Allah – His Love, Sincerity, Trust in Him, Remembering Him directly and whenever we see His signs in creation, Pondering His creation and in His names, not complaining of Qadaa, etc. This relationship is strengthened over time. It requires slow and steady cooking with regular heat coming from Qur’an. According to Aisha (R), “His (the Prophet, pbuh) morals were the Qur’an”. The Qur’an is theory and the Prophet’s life was practical demonstration of that theory (thee Qur’an). We need to study the Seerah of the Prophet pbuh and keep relating the verses that we study to his life. This is a project in itself and requires one to ponder the verses every day along with the Seerah of the Prophet, pbuh. As a patient starts describing his problems, the doctor’s mind starts working on diagnosis and comes up with the relevant medicines. Similary, we come across many situations in our life. We should be able to see solutions in the Qur’an corresponding to these situations. Only through continuous pondering and relating it to the daily life, one can attain this vision.